There are times when blogging feels a bit like shouting at a wall. So I’m probably well-placed to understand how British scientists must have felt when they tried to explain to Owen Paterson that culling badgers wasn’t a good idea. Might as well have gone down the pub. At least somebody would’ve listened. To be honest, the whole thing never made much sense to me. 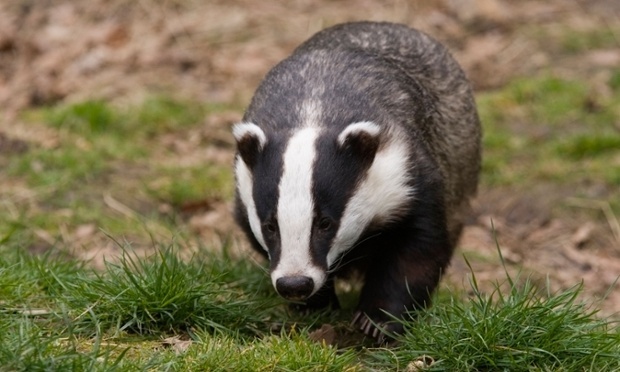 The evidence that badgers are responsible for bovine TB is at best patchy. A badger cull would only ever make modest reductions to cattle TB, according to experts. Quite apart from the cruelty. And the environmental implications of removing a major predator from the food chain. Or don’t they teach them stuff like that at Radley? It was never going to work. Even a trained marksman is going to have difficulty shooting a moving target. With the required precision to kill instantly. In the dark. Or did Mr Paterson think the badgers were going to give themselves up willingly? OK, guv, it’s a fair cop. We gave ’em TB. We deserve to die. ‘Ere, tie me to this tree and shoot me. I won’t move. Promise. No. Tricksy beasts them badgers. One of the most elusive larger mammals in the British ecosystem. Always moving the goalposts. And themselves. It’s just not cricket. Then there’s the expense. Admittedly that’s seldom been a consideration for British governments when it comes to slaughter. Animal or human. Austerity rules when it comes to care. Carnage is a different matter. Apparently that the cost of vaccinating badgers in Wales came to £662 per head in 2012. Policing costs alone for the cull in England amounted to £1623 for every dead badger. Pesky creatures. Brainwashing all those poor, gullible idiots into believing they have a right to live. One of the oddest things about the cull is Owen Paterson himself. Allegedly his family fostered two orphaned badgers when he was a child. Bessy, the female was the first. In his own words, she was extremely intelligent, had a very low opinion of cats, but loved the dogs. When Baz arrived the two eloped together. Maybe this is some kind of revenge mission. Because, with all the excitement of the apparent back-down, we mustn’t lose sight of the fact that the trial culls in Gloucestershire and Somerset are set to continue. In fact Mr Paterson still insists that once the techniques have been perfected he intends to press ahead in the areas currently on hold. Meanwhile, he’s quietly removed the requirement for independent oversight of the existing culls. Just to make it more fun. In the words of Maria Eagle, the Shadow Environment Secretary, he’s declared open season on the badgers in the culling areas. Effectively, he’s ensured that hundreds more badgers will be maimed, or die in agony, at the hands of incompetent marksmen. I don’t understand. Does Owen Paterson think if there’s no evidence, the cruelty’s not happening? If he shuts his eyes very tight it’ll all go away? He’s not that stupid. Perhaps he and his cronies actually derive some kind of perverse pleasure from the suffering of animals. And of less privileged human beings. Makes some kind of sense in the current climate. He’d need to sweep that one under the carpet for sure. But if he thinks all us nasty, sentimental, badger-loving deviants are going to be fooled by his mendacity, he probably has another think coming. Sorry Owen. We’re not that stupid either.